How fast is this year going? It’s had so many ups and downs this year it’s crazy. Anyway I have so many favourites this month, a complete variety again because a favourite can be anything. It also gives the reader a chance to try something new hopefully. Starting with books I am loving reading right now, the book has to be good though or I can’t be fussed with it. I will leave it weeks and pick it up again having no clue where I left the story. 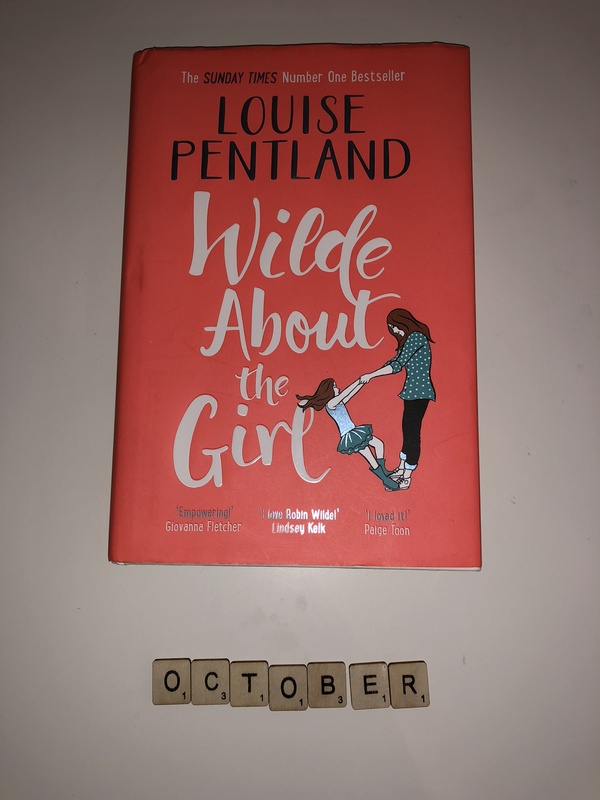 My first book I have loved this month is *‘Wilde About The Girl’ by Louise Pentland. Now I loved the first book and couldn’t wait for the second. I left it for a while before reading as I knew it would be a good holiday read. Well I was right I laughed, cried and smiled throughout the book. I read this in 2 days straight and couldn’t put this down. Louise tells the story so well and is such a lovely read. Can’t wait for the third book. 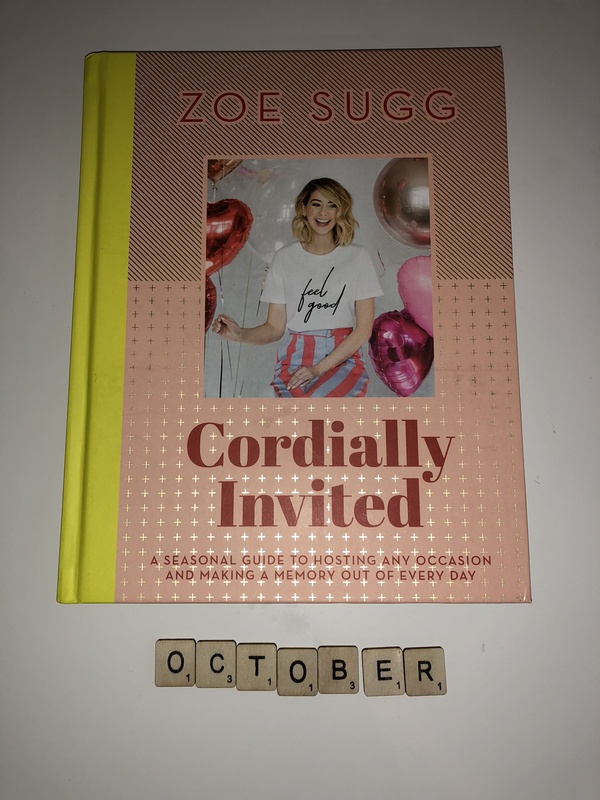 The next book I have loved is *Zoe Sugg’s book ‘Cordially Invited’ as a crafter I love cooking, baking and creating. Zoe’s book has ideas, tips and tutorials for various things, for any occasion throughout the year. I love the sound of the tomato and ginger soup. I am not really a fan of tomato soup but adding the ginger to it appeals to me. Others like wreaths and Instagramable sundaes. I can’t wait to make and create a variety of things from this book. I think it’s a good book to give as a Christmas or birthday present, especially if they are just getting into crafts. I have been loving Strictly Come Dancing this year. Not sure why I have took to it more this year than others but I think there are so many good celebrities in it and also they all seem to be pretty good. I like all of the better dancers such as Joe Sugg and Ashley Roberts. It is also the start of the lead up to Christmas and beginning of Autumn. Moving on to beauty kind of, I am loving Boots own range of shampoo and conditioner. I went for the Raspberry and Goji Berry scent. It smells amazing and cleans my hair better than other shampoos. They were 75p a bottle which I think is a bargain and they are larger bottles so last a while. I love the colour of the shampoo. Its raspberry looking colour and makes me smile anyway. 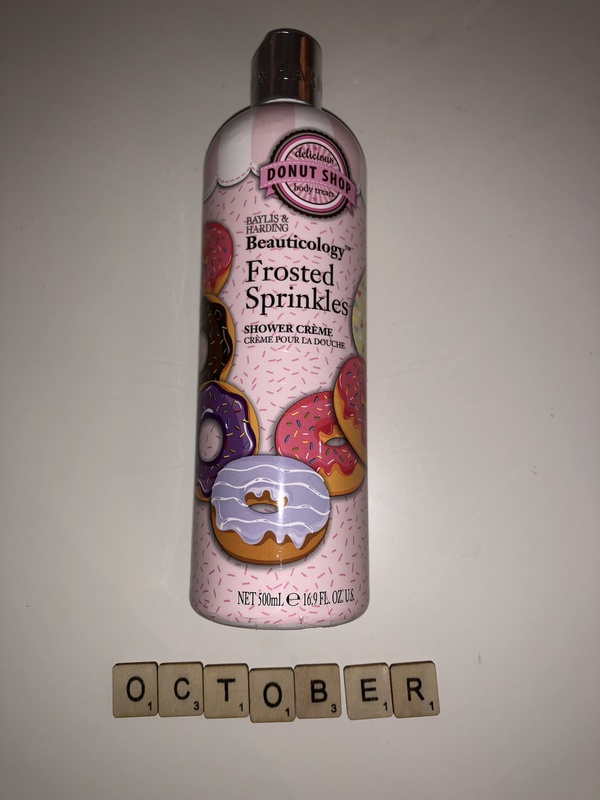 I have also been loving Bayliss & Harding beauticology’s Frosted Sprinkles shower gel. This smells like cupcakes. Again a really good size bottle, lasts a while and was on offer for £1.05. 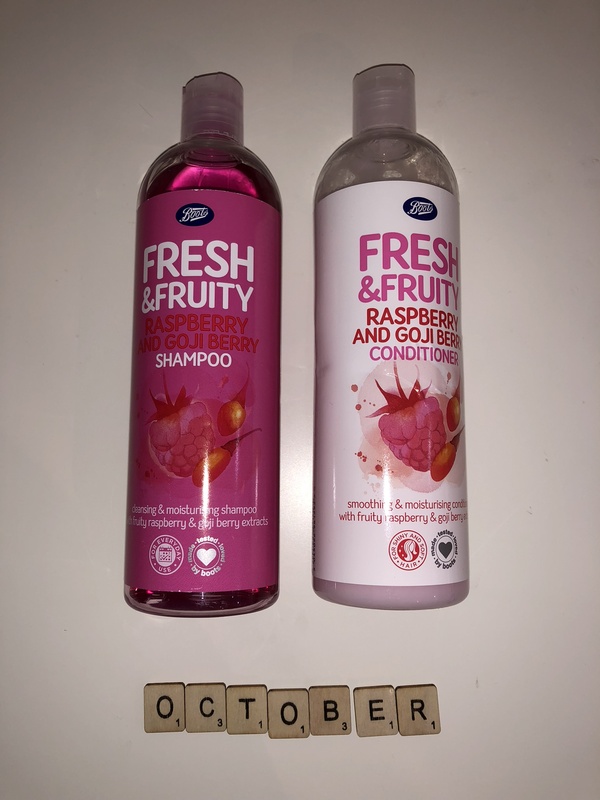 Using the shampoo, conditioner and shower gel makes you smell like fresh cupcakes out the oven. 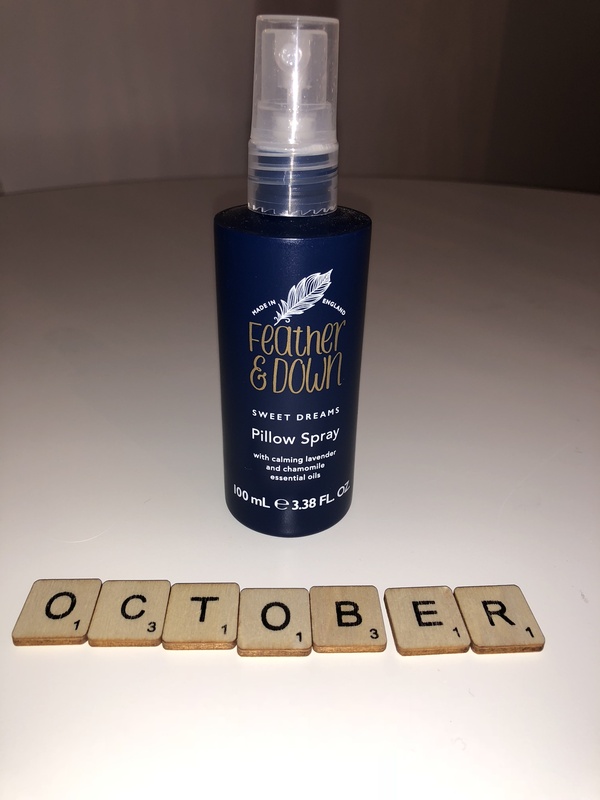 I trialled a week without *Feather and Down Pillow Spray, but from this I have realised this really does help me. Its stops nightmares and scares and constant waking up in the night. Sleep is so important to me and key I have 8-10 hours a night. Without this spray although it sounds silly really but I wake 3-5 times a night, from thoughts or pain and even bad dreams. As some of you may have found out I can dress make and I love to do it. I have taken about a 10 year break from it but have now fallen back in love with it. I have made dungarees and a dress so far. I can dress make from scratch but I have been using *Tilly and the Buttons patterns and adapting them slightly. I can’t wait to make more. For fashion this month I am loving the oversized jumper look. It’s getting colder here in the UK and definitely jumper weather. The oversized look just adds comfort and warmth to an outfit. 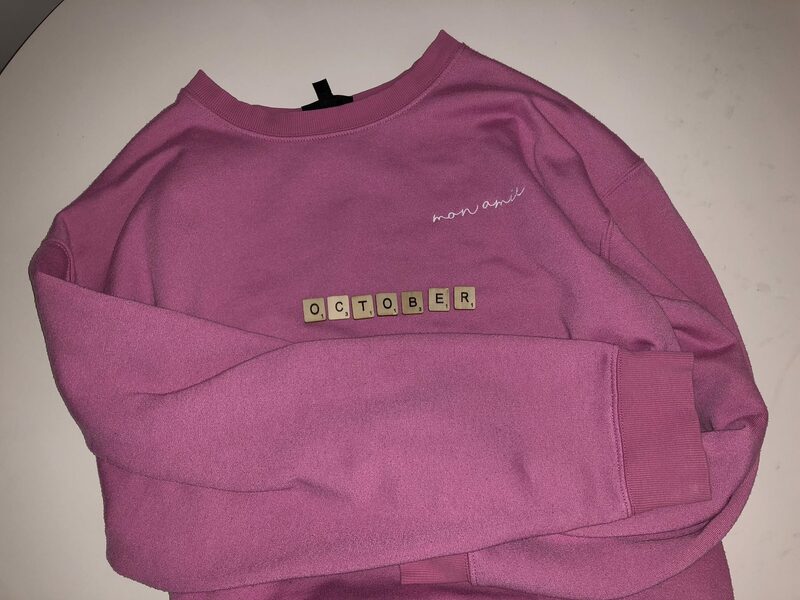 I love my Topshop pink jumper which is now a year old but I have brought some new ones as some of my Topshop ones are now getting a little too big for me and it’s always nice to have new things anyway. For food this month, of course I love food and the majority of foods, but as I have been away I have tried a few new things or brought back old foods I rarely had. So the first one which I don’t have a photo off unfortunately I have been loving Kinder Bueno Ice cream. I had it every day on holiday and it’s so good. We tried a few other flavours but the kinder Bueno has the most flavour to it. I want to try recreate this ice cream at home because the flavour is so good. 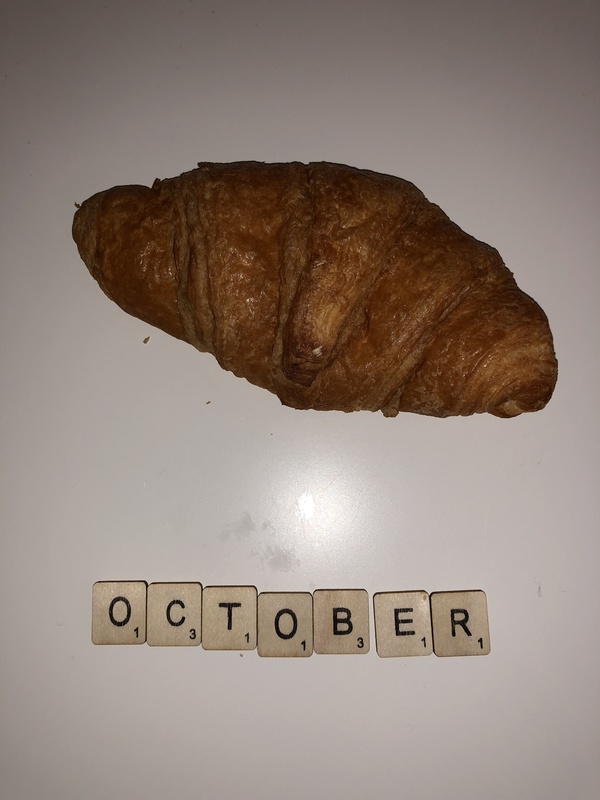 The next for food I have been loving is croissants. The food wasn’t all that in the hotel and we had to pick and choose what we had. I went for cheese and ham croissants for breakfast which were so nice. I find thinking of things for lunch the hardest so I am now having ham croissants for lunch and still loving them. That’s my favourites for this month. What have you been loving? What is something you could suggest for me to try? What a cute blog post! 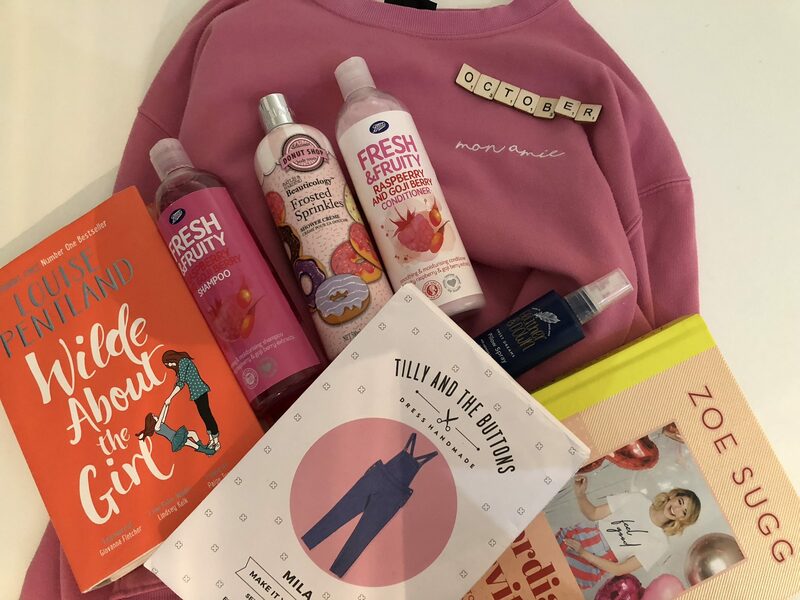 I have to admit, I always love reading Favorites posts because it’s a great way to discover new products and also see what others are loving. thank you. I think its really good. thank you. I hope you feel better soon. I could totally use a pillow mist like the one you’ve mentioned, I wonder if it’s available in the US! 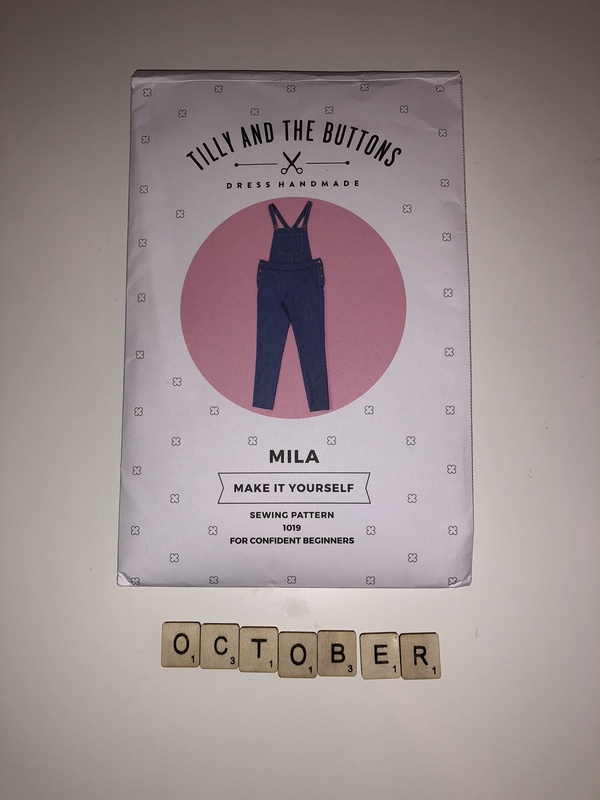 Love your October favorites, I might pick up the first book you mentioned! thank you. Its on Amazon so I guess so. That pillow spray sounds like a dream. Sleep is also important to me and it’s great to see that there’s a product out there that promotes good sleep! I must check it out!